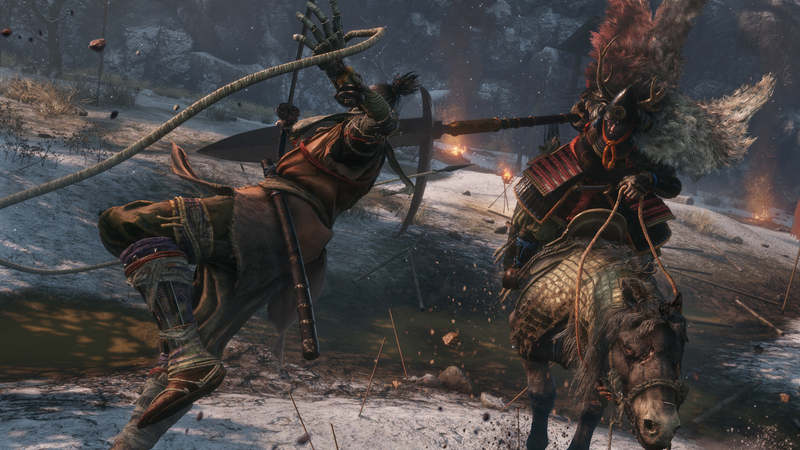 In Sekiro: Shadows Die Twice, FromSoftware has produced yet another title in the Souls lineage of games – but an increased action focus and some slick moves borrowed from Tenchu help to set it apart. The team at FromSoftware has done it again. 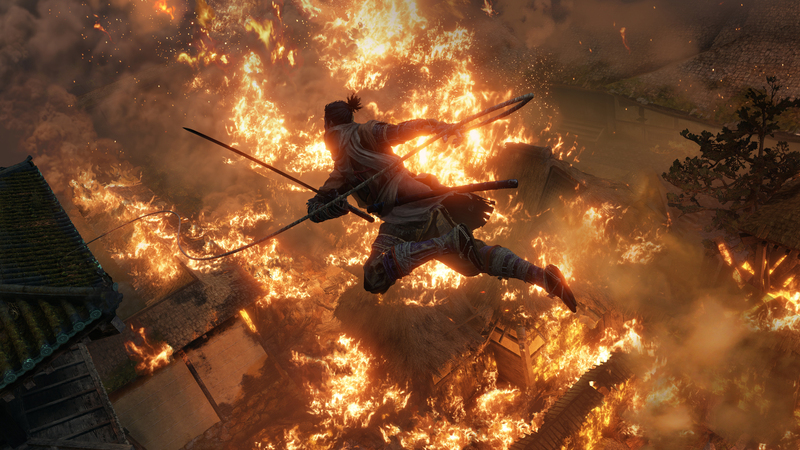 One has to wonder how many times they can get away with it – but yes, Sekiro: Shadows Die Twice is another one of those games. It is exactly what you’d expect; you’ll die often until you master a parry move, you’ll stress out about extending your health bar and healing capabilities, and you’ll spend much of the game tracking a secondary meter alongside health that determines your vulnerability. It’s all very Souls. And that’s fine, really – the good news being that Sekiro feels like a great one of those games. 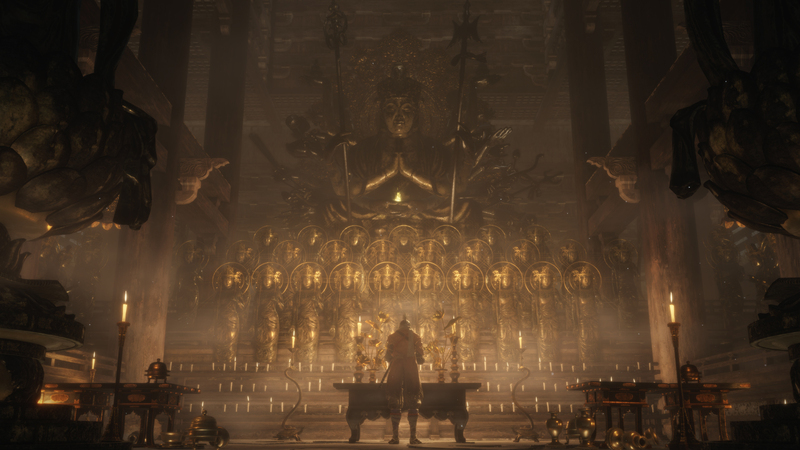 That really isn’t all that surprising in a sense – FromSoftware is the originator of this new sub-genre of sorts, so you’d expect the studio to get it right. You’d also expect From to know how to differentiate the new game from those other titles – and Sekiro does a decent job at that also. For the older among you in the audience, there’s a clear touchstone for that other side of Sekiro – the Tenchu series, which began in 1998 and made its last appearance in 2009. FromSoftware didn’t create Tenchu – that was the work of Acquire – but the studio did work extensively on the series and ultimately ended up owning the franchise IP. They actually purchased those rights from Activision, who is now publishing Sekiro – so in many ways, everything has come full circle. 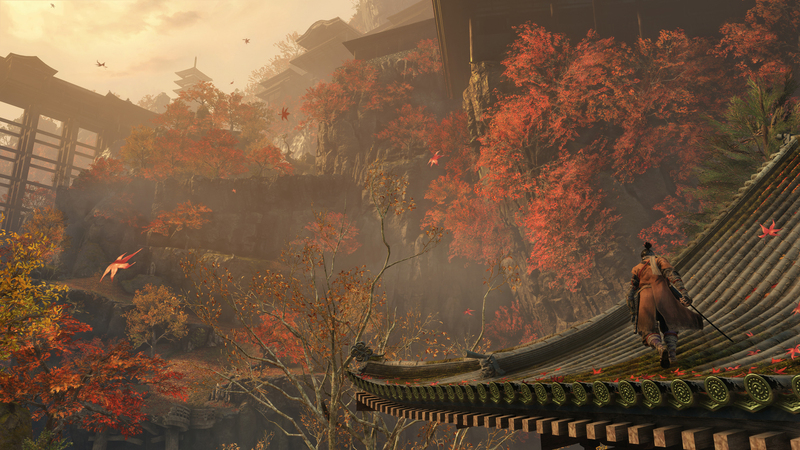 Back when Sekiro was first teased as ‘Shadows Die Twice’ some fans speculated it could be a new Tenchu – and in a way it sort of is. Tenchu was a stealth action game, and that’s where this title is most different to its Souls peers – stealth is absolutely a viable option, at least for a chunk of combat encounters. While it appears Sekiro will have a slightly more linear approach to the game at large than in Souls, moment-to-moment it’s a more open game. As soon as you leave the tutorial area you’re awarded a grappling hook with which you can zip between several pre-defined points, adding a sort of verticality to proceedings that makes everything feel way different. While it’s often reductive to do so, Sekiro is in this sense best described by those titles it is similar to. The grappling hook is straight out of Tenchu, for instance, but the modern way it works most recalls the recent Batman games. Your ability to crouch and become essentially invisible in tall grass and the way enemy ‘alert’ meters slowly fill up when you’re visible is straight out of a range of recent stealth adventures including the recent Assassin’s Creed games. 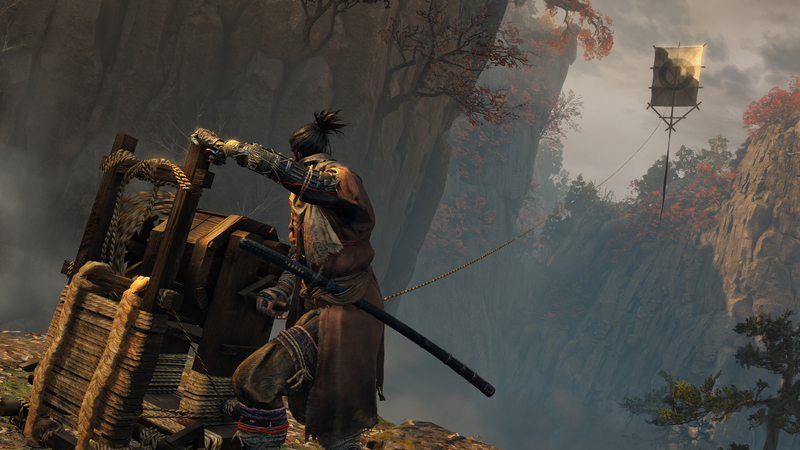 Stealth requires faster movement, and so Sekiro has that – in fact, it’s generally a faster game across the board. You can grapple across rooftops to avoid being seen, then satisfyingly dash up behind an enemy in a crouch walk to plunge your blade into their neck – and in doing so, you avoid a potentially nasty combat encounter. In the early hours of Sekiro I played it was totally possible to stealth around an area picking off enemies on patrol one-by-one in stealth, and it was even possible to use stealth or traversal abilities to simply bypass some of the tougher sub-boss style enemies. If combat gets too much, you can also escape by grappling on high and fleeing across the rooftops – and even that admittedly cowardly act feels great. Naturally, having a Souls-style punishing combat system encourages you to use stealth even more, but sooner or later you’re going to be forced into a full-on melee encounter. Here’s where the managing two meters kicks in – though this time it’s health and posture rather than stamina. The interesting thing about posture is that it goes both ways – both the protagonist and enemies have to worry about it. Posture makes sense for a game based around use of the katana, and the idea is simple: the more hits you take, blocked or otherwise, the more your posture is reduced. When posture is entirely exhausted and broken, instant-kill execution techniques can be unleashed. This is the exciting, delicate dance at the core of Sekiro once stealth eventually, inevitably fails you: you must be aggressive. Standing back, blocking and counter-attacking is all well and good, but an enemy on the verge of broken posture might retreat back in order to let their posture replenish, as it does over time. To get that execution you’ll want to press the attack carefully while not leaving yourself open, as chipping away at the health of enemies without breaking their posture leads to longer and thus more potentially deadly encounters. It also encourages players of all skill levels to attempt to achieve a mastery of parries rather than blocks – parrying gives a brief window where you can land an attack that does devastating damage to enemy posture. As you try to master this it’ll also become clear how much effort has gone into enemy animation, making every swing and thrust of a katana entirely predictable if you know what to look out for – and after a few deaths, that’s a lesson you’ll quickly learn. Tougher enemies will have multiple health bars, so your challenge then becomes breaking their posture a couple of times in order to finish them a few times over. It does seem like posture is a universal mechanic, though some larger troll-like enemies I encountered seemed like they’d be incredibly difficult to break – and at that point it becomes more like the other FromSoftware games, all about blocking, dodging and weaving to land devastating attacks. 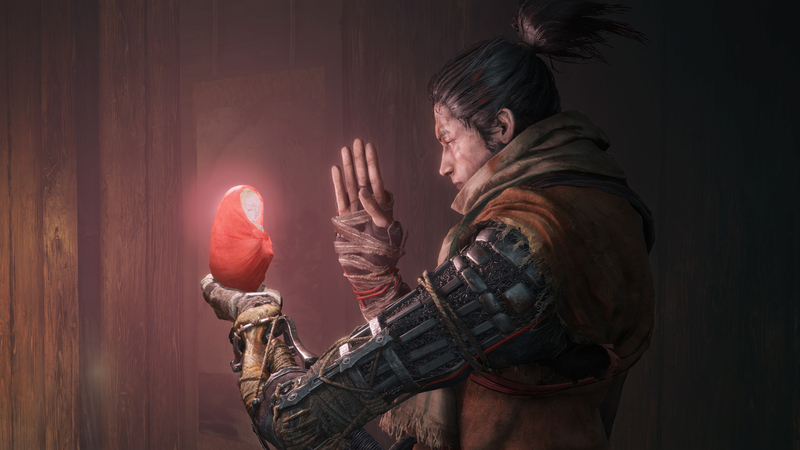 When that all goes wrong, Sekiro has one last trick up its sleeve – and it’s all to do with the game’s name. You see, you can die twice. Sometimes more than twice, in fact. There’s story reasons for this I won’t go into here to avoid spoilers, but basically when you’re first downed any time after a bonfire-like checkpoint, you’ll lay there bleeding out and be given an option – to die, or to resurrect. 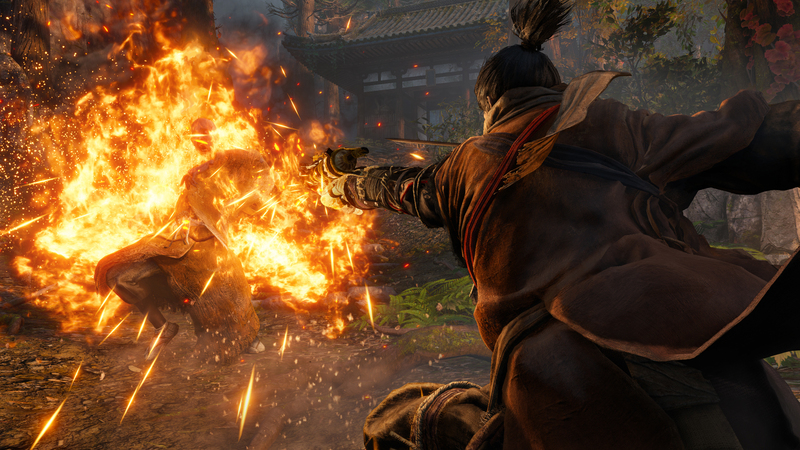 This isn’t just a system that gives you a second chance – it plays into Sekiro’s stealth systems. While there’s a time limit on the decision, enemies lose interest when you die, walking off back on their patrol routes and the like. As such, if caught and killed in stealth you can play dead until enemies walk a distance away, then resurrect and disappear back into the shadows. It also does naturally work as a safety net for that brutal difficulty, and even after dying once you can be rewarded with an additional resurrection without needing to rest simply by killing a lot of enemies. Again, aggression is rewarded, and one can immediately see the ways in which these systems could be manipulated to interact for interesting results. This game is almost certain to have absolutely amazing speed-runs. The important thing to note about this system is that it doesn’t dull the edge of a hard-as-balls FromSoftware game – or at least it doesn’t in the opening hours I played. Nor does the increased speed and traversal ability – ultimately it all fits right in, the result an exciting and different take on something very familiar. 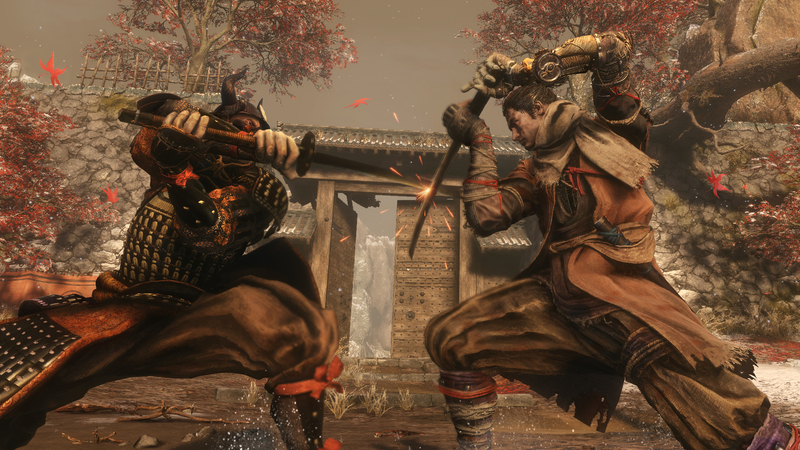 From and Activision are presenting Sekiro as more of an action game than RPG – and it is that, but there’s still buffs, debuffs and upgrades to juggle even if you will be using one core weapon in the your katana plus a range of neat gadget sidearms. It feels as though there’s plenty here to excite and interest even the most seasoned Souls veteran, and the unabashedly Japanese setting (complete with Japanese voice work) means there’s a significantly different flavor, too. In other ways it’s very familiar. You meet your weapon and health upgrading NPCs early on, and boy – these are the Souls tropes. The game seems to know it and own it, however. It says a lot about the FromSoftware formula that despite all these differences Sekiro still very much feels cut from the same cloth as most of their other games over the last decade. Because of that I imagine it’ll struggle to convert those who bounced off Souls previously – but if you’re hungering for a new title in that vein and are sick of hoping and praying for a Bloodborne 2 or Dark Souls 4, Sekiro definitely looks like it’ll scratch that itch.